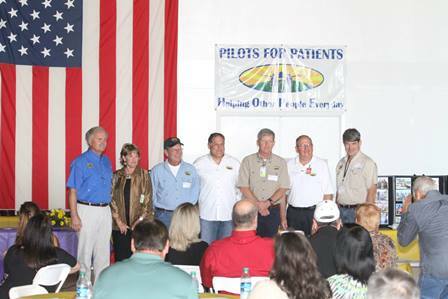 Pilots for Patients held the 7th annual Awards Luncheon in Monroe Saturday, October 17 2015. Thanks to all the Patients, Pilots, and Patrons who came to celebrate our 7th annual PFP Luncheon. 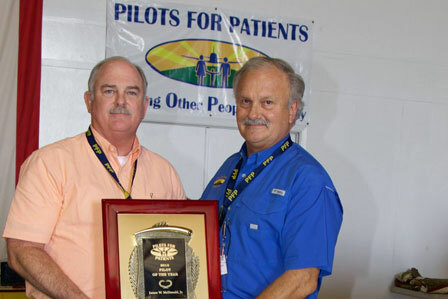 Pilots for Patients held the 6th annual Awards Luncheon in Monroe Saturday, October 18 2014. Thanks to all the Patients, Pilots, and Patrons who came to celebrate our 6th annual PFP Luncheon. 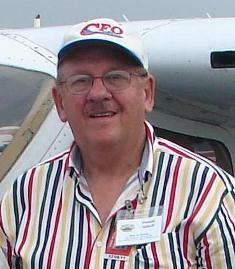 Pilots for Patients held the 5th annual Awards Luncheon in Monroe Saturday, October 19 2013. 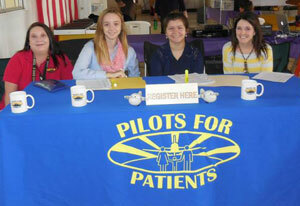 Thanks to all the Patients, Pilots, and Patrons who came celebrate our 5th annual PFP Luncheon. It was a wonderful day and we are so grateful to all who came out and supported us. We had a great time visiting with all of you guys. Special thanks to Mr. Humphries at The Warehouse Restaurant for providing such a delicious lunch! 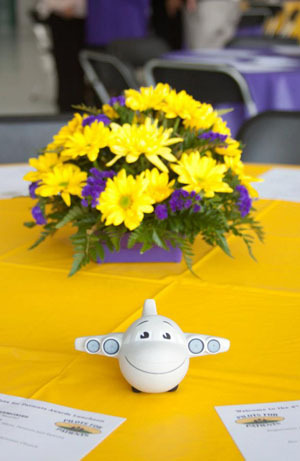 Pilots for Patients held the 4th annual Awards Luncheon in Monroe Saturday, October 13 2012. 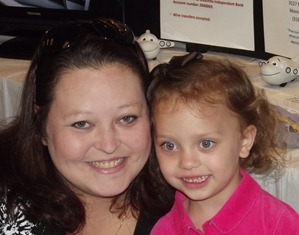 A special thank you to the patients who took time to speak. I don't think there was a dry eye in the house. Also, thank you to everyone who made this such a wonderful event: CenturyLink, Warehouse No.1 Restaurant, Jan Clay, Hope Anderson, Mike Blakeny, Courtney Sorenson, our board of directors, our staff, volunteers and everyone else who helped make this day a success. Thank you to everyone who made it. It was wonderful to see you. We missed those who could not make the journey. 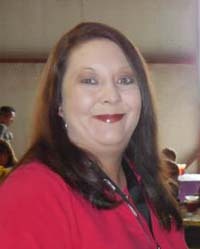 Pilots for Patients held the 3rd annual Awards Luncheon in Monroe Saturday, October 15 2011. 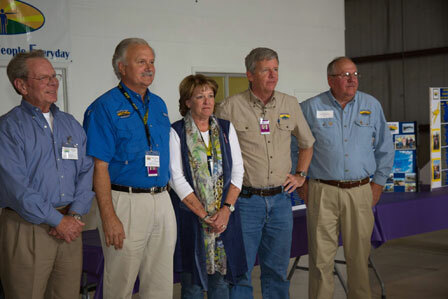 The event was attended by pilots, patients, patrons as well as staff and board members. They all had a great day of fellowship, recognition and wonderful food provided by The Warehouse No. 1. 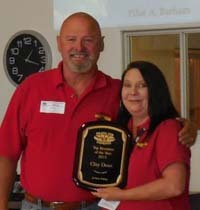 One of the awards given was Pilot of the Year and longest mission in 2011 - Don Imhoff from Baton Rouge. 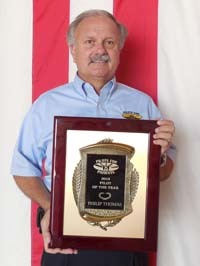 Other awards included: longest mission in 2010 - Mac McKenzie, (Monroe, LA) 100 mission pins - Philip Thomas and Andy Barham, (Monroe, LA and Oak Ridge, LA respectively), and longest single leg mission in 2011 and 50 mission leather jacket - Philip Coyne (Clinton, LA). Perpetual plaques are given to pilots when they reach 10 missions. 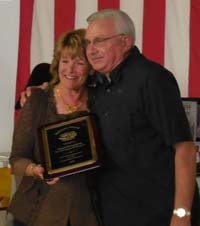 A plate is also given to them at the end of the year to put on the plaque showing the missions flown in that year. 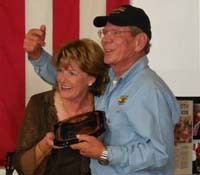 Plaques were presented to the following pilots: Florence Bethard (our only female pilot .. Coushatta, LA), and Michael Clay (Monroe). Pilots not present will be given theirs: Bradley Jones (Monroe), Riaz Siddiqi (Houston), Marty King (Houston), Dr. Ralph Abraham (Mangham, LA) and Edwards Barham (Oak Ridge, LA). 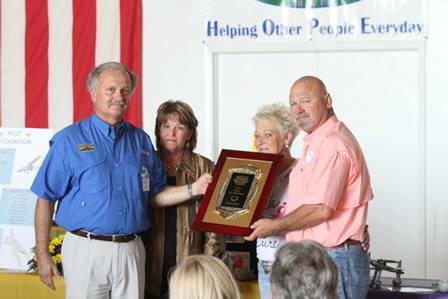 Special thank you plaques were given to The Jeffrey Wooden Memorial Foundation, Wish I Could of Northeast Louisiana, and Randy Russell for their financial contribution to Pilots for Patients. Thank you awards were also presented to Miss Louisiana and Miss America hopeful Hope Anderson, Director Sharon Thomas, Mission Coordinator Beth Stone, and webmaster Rickey Sewell for their dedicated contributions to Pilots for Patients. Thank you to everyone who made this event so successful.